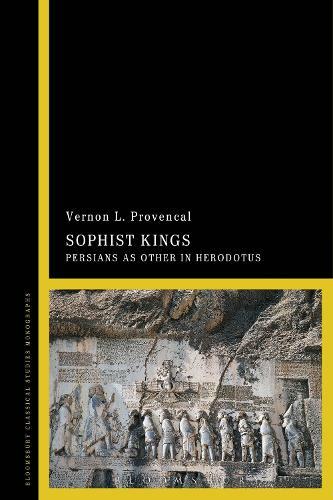 Sophist Kings: Persians as Other sets forth a reading of Herodotus' Histories that highlights the consistency with which the Persians are depicted as sophists and Persian culture is infused with a sophistic ideology. The Persians as the Greek `other' have a crucial role throughout Herodotus' Histories, but their characterisation is far divorced from historical reality. Instead, from their first appearance at the beginning of the Histories, Herodotus presents the Persians as adept in the argumentation of Greek sophists active in mid-5th century Athens. Moreover, Herodotus' construct of the Sophist King, in whom political reason serves human ambition, is used to explain the Achaemenid model of kingship whose rule is grounded in a theological knowledge of cosmic order and of divine justice as the political good. This original and in-depth study explores how the ideology which Herodotus ascribes to the Persians comes directly from fifth-century sophists whose arguments served to justify Athenian imperialism. The volume connects the ideological conflict between panhellenism and imperialism in Herodotus' contemporary Greece to his representation of the past conflict between Greek freedom and Persian imperialism. Detecting a universal paradigm, Sophist Kings argues that Herodotus was suggesting the Athenians should regard their own empire as a betrayal of the common cause by which they led the Greeks to victory in the Persian wars.